1. Crosswords are commonly called ______. 2. To get the right answers in a crossword you have to read the ______. 3. 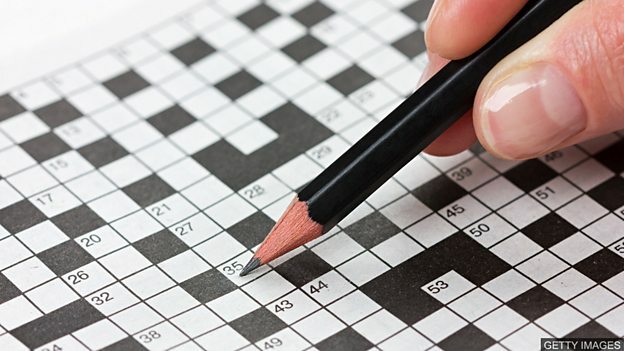 Crosswords are arranged in a pattern of words going ______ and ______. 4. Some of the questions contain words that are made by rearranging letters to make different words. What are these called? 5. The person who writes a crossword is known as the ______. 6. If you complete a crossword, we say that you have ______ it. 1) b, 2) d, 3) a, 4) c, 5) b, 6) a.